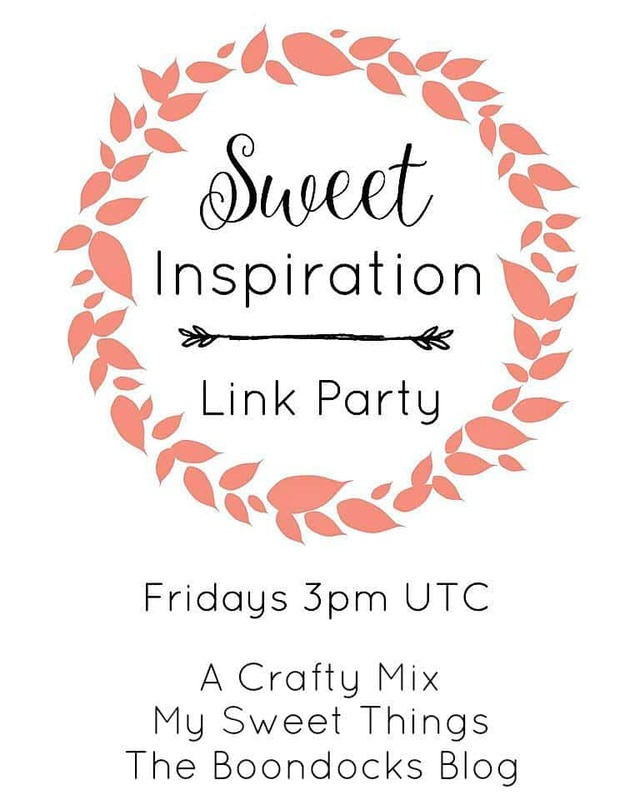 Welcome to Sweet Inspiration Link Party 49!! Now, without much ado, let’s see this week’s features. Congrats to all!!! I love the makeover that Tuula from Thrifty Rebel Vintage gave to her kitchen chairs. That pop of red against the blue just makes me smile. I’m no foodie and I can barely cook so please forgive me if I’m terribly confused by all the new diets and fads out there. It’s no wonder that when All that’s Jas asked the question that’s been bugging me for a bit I had to go have a look see. Ever since first laying eyes on sweet Miss Molly, 2 years ago, I have enjoyed visiting Carol of The Red Painted Cottage‘s blog, just to see what Miss Molly was up to. So it was with great sadness that I learned of her passing. This post is my feature this week because I know Miss Molly’s precious face brought joy to many of us and she will be missed very much! Andrea of Andrea;s Wellness Notes really rocks this black and white coat. With its geometric design, it is super cool and can be paired with almost anything. I am a huge fan of pasta and if it is mixed with raw vegetables you got me. This is what Marilyn from Marilyns Treats did and it looks delicious! Our most clicked post last week was a really sad story, shared by 4 Shoes Life about a family that’s been torn in two. Sending love and best wishes everyone that’s been affected by this. ~ It would be appreciated if you follow us on at least one social media. ~ No link back to our blogs required but it would be appreciated. We have our buttons as “nofollow” links so no to upset SEO. ~ You can link up to 3 posts, DIY’s, Home décor, Crafts, Recipes, anything family friendly goes! ~ Yes, you can link up posts with Affiliate links. ~ Please link up your own work, no ads. ~ Linking gives us permission to share a credited photo on our social media accounts. ~ If you wish to pin the features please do so by going to the original post. ~ No repeat linking up. Otherwise, it will be removed. Click the button to link up below! Get inspired, have fun & share!!! Disclosure: By submitting a link to the Sweet Inspiration Link Party you are giving the party hosts permission to feature your link/post on our blogs, social media and future round up posts. This includes images from the linked post as well as linking to your social media accounts. My Sweet Things and all Sweet Inspiration Link Party co-hosts respect you and your work; everything will be properly linked back to you and given credit. You are welcome!! Enjoy the weekend! Thank you Pili for the 49th Sweet Inspiration. Thanks for being part of it, Joy. Have a wonderful weekend.